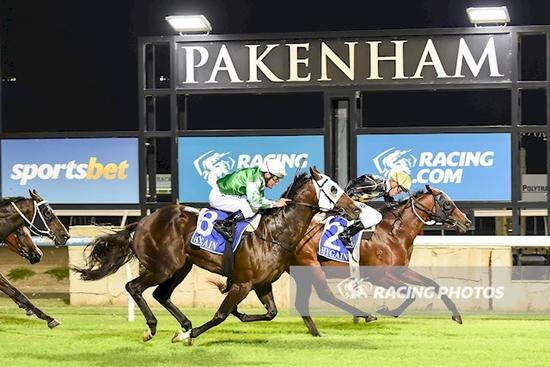 Empire Liberty continued on his winning way with another typically tough win at Pakenham in the 1600m Benchmark 64. Reunited with Dylan Dunn the race was won in the first 200m when it was obvious no one wanted to take up the lead. Dylan took the opportunity to rate him to perfection in front. Entitled to give a kick in the straight those close to him in the run had every chance to chase him down as he carried 60.5kgs giving weight to all his opposition. Not many horses win 5 races and Empire Liberty has managed to do just that in a little over 12 months.